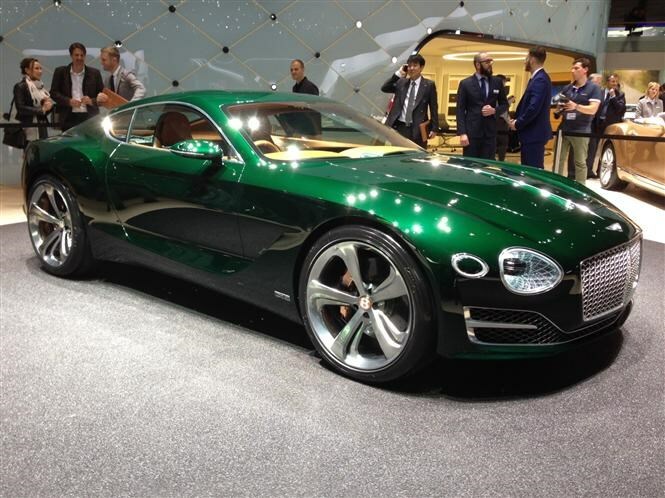 One of the few genuine show surprises is the Bentley EXP 10 Speed 6, a concept that could preview a future design direction for the firm or a whole new model-line. We’d wager the next Continental GT will draw much from it which, save for the opinion-splitting grille treatment, can only be a good thing. The same goes for the cabin, which is the most driver orientated we’ve seen from the firm. Typical quilted leather features – also a pattern mimicked by the headlights – and a steel and copper hybrid is used for much of the switchgear and inlay panels. Talking of hybrids there’s no word on the engine yet, though the firm says it features advanced performance technology and talks of a performance hybrid potential that will ‘challenge competitors and define a new segment benchmark’. Alongside the EXP 10 Speed 6 Bentley is showing a refreshed Continental GT with upgraded cabin materials and a revised front-bumper design. The 6-litre W12 engine receives a boost in power and torque from 567bhp to 590bhp and 700Nm to 720Nm, benefitting performance and efficiency. Click here for the full Bentley Continental GT review. Both the Flying Spur and Mulsanne Speed have a presence here, with the former gaining a similar increase in material quality and the latter re-enforcing the firm’s position as maker of extra-fast luxury cars thanks to its 6.75-litre twin turbo V8 engine. Certainly not for the Continental GT – it’s still a proper powerhouse of a car, and is now more capable than ever, but elements are feeling their age. And even if this EXP 10 Speed 6 only half previews the next one you should hold out for that instead.